At your enrollment appointment we will go over the enrollment packet with you and answer any questions that you may have regarding our program and policies. You will also be given a copy of our Parent Handbook. Our staff works very closely with parents to ensure we are able to best serve your child's needs. In order to do this we will ask for the following information. Does your child have any medical conditions we should be aware of? Does your child have any severe allergies, such as peanut, bee stings, etc? Does your child have any special challenges or needs we should be aware of? Your child can start care within one week of your enrollment appointment. We do encourage parents to visit the center with their child before starting care. 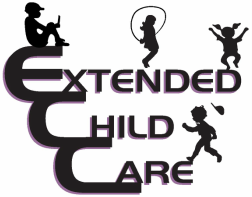 This gives you and your child a chance to become familiar with the center and the staff and helps to ease the transition for your child. A $50 non-refundable registration plus your child's first month's tuition (prorated) will be due at your enrollment appointment. Please refer to our billing structure for monthly tuition. If you are enrolling in the spring or summer for the following fall, there is a $75 non-refundable deposit to hold your child's space which is applied towards your child's first month's tuition. ECC would like to remind our families of our policy for schedule changes for the school year. You have two options for your schedule. Option 1: Fall schedules which would include Non-School Days, such as Winter Break, Spring Break, teacher in service days, etc. ​Option 2: Fall Schedule with SCHOOL DAYS ONLY. Please understand that the option you choose is what you will be committed to for the entire school year. There will not be an option to switch back and forth between the school days only tuition and school days which include the full days.